WELCOME TO MY PATCHES & MEMORABILLIA SITE! On this site id like to show most of my collection and highlight some of the differences between the many N.S.W. 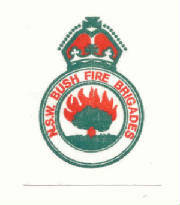 rural fire service patches available as well as some of the individual brigade patches that i have and in the process try to aquire some of the many different patches there are still out there ! ****HARD TO GET**** AND MY MOST WANTED ITEM IF ANYONE CAN HELP ME?? 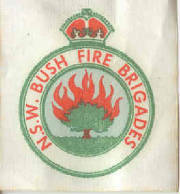 There are hundreds of different brigade patches as well as issued patches from the N.S.W. 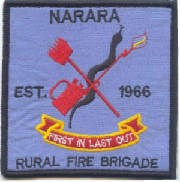 FIRE DEPARTMENTS, each with a specific pattern or difference which takes us over the 100 years of the N.S.W. 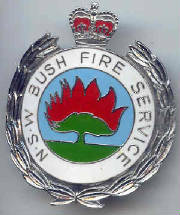 Rural fire service history. 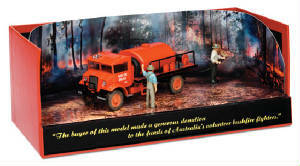 There are so many reasons why someone would consider collecting patches of an organization he or she believes in. By building an informative web site, I hope to get these may different patch varietys out to a larger audience of people interested in patch trading, to find out their history and try to find out what it means for those volunteers who have worn them over the last 100+ years. 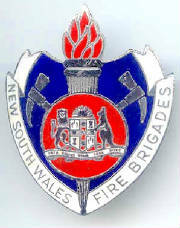 With any stroke of luck i'm hoping that my interested audience has what i dont have and can assist me in putting together an extensive collection of badges and patches to put on show at certain events locally and at a district level that myself or my brigade, Narara, attend so we can generate a healthier image and respect for the service in which we serve. 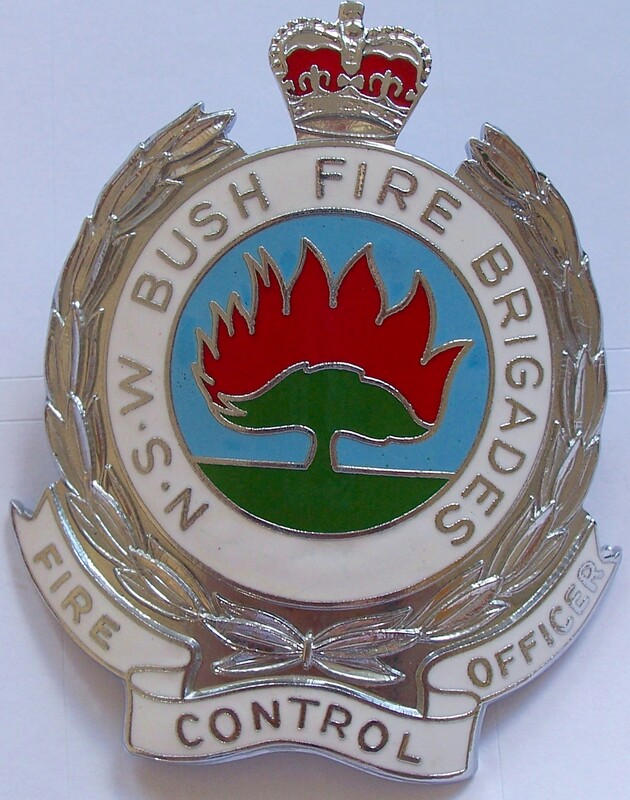 FIRE CONTROL OFFICERS HAT BADGE LATER MODEL THAN THE ONE ABOVE!! 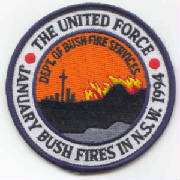 THE PATCH PICTURED TO THE TOP LEFT OF THIS TEXT IS ONE OF THE EARLIEST KNOWN PATCHES KNOWN TO EXIST FOR THE N.S.W. 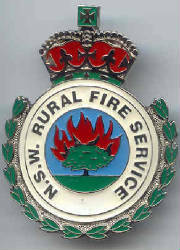 RURAL FIRE SERVICE, KNOWN BACK THEN AS THE 'N.S.W. 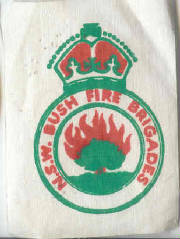 BUSH FIRE BRIGADE' WHERE AS THE PATCH PICTURED AT THE BOTTOM IS STILL VERY HARD TO FIND, DATES AROUND 1961. AT THE PRESENT TIME ONLY THE 2 SMALL WHITE PATCHES PICTURED AT THE BOTTOM OF THIS TABLE IS AVAILABLE FOR A TRADE OR SALE!